Black Widow #12 (Published by Marvel Comics; Review by Draven Katayama; ‘Rama Rating: 7 out of 10): Phil Noto continues one of the most impressively illustrated books on shelves currently. 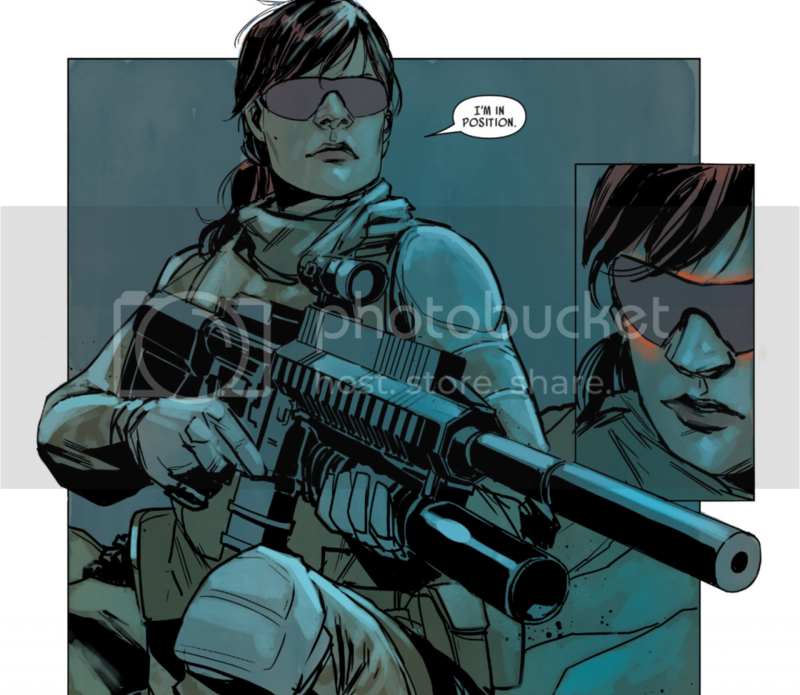 Natasha’s first full page here shows off Noto’s precision in the detail of her sniper rifle, and the watercolor-like blending of dark blues in her clothing and in the background. 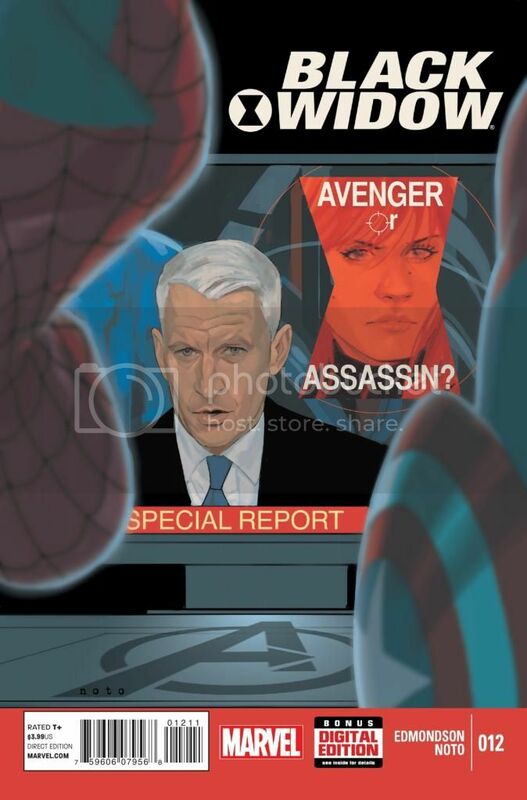 Small details really showcase Noto’s talent: see how Anderson Cooper is reflected in Captain America’s shield. 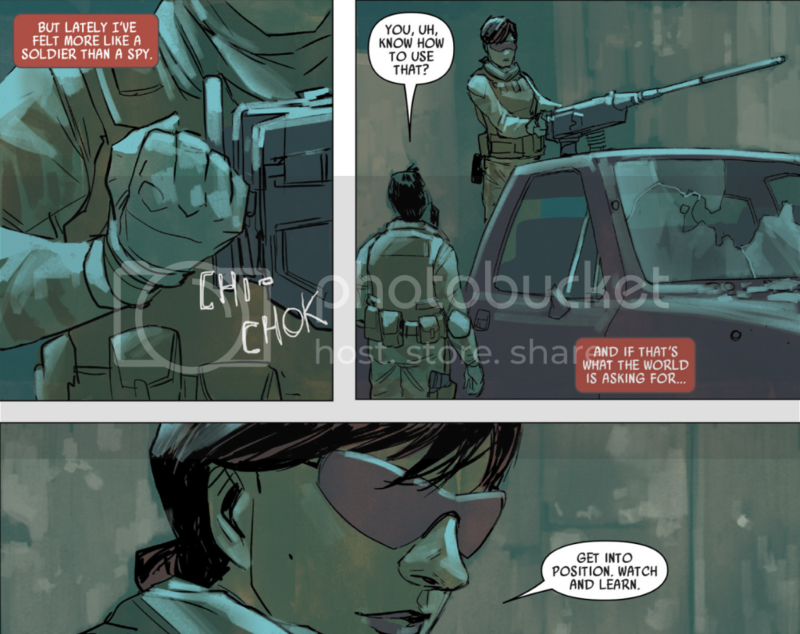 This is clearly a segue issue: Nathan Edmondson gives Natasha more first-person exposition to explain that she’s taking this black ops mission to blow off some steam. We don’t get the weight, tension, or smart one-liners of the first arc. Edmondson is setting up his next arc where Natasha will be more alienated from her fellow Avengers. It’s not a ground-breaking issue, but it is a pretty one.